Arriving Sunday, Sept. 30 from Ontario, Canada after an 800 mi. drive, Kuden Paul Boyle visited and practiced back on Red Cedar Moutain and environs for a week. Kuden was in the first priest ordination at CHZC in 2003 (with Nyugen Liz Moore) and was shuso (head monk) in 2009. He left just over a year ago to live and work in London, Ontario, near where his daughter is in school. Before coming to North Carolina Kuden had lived in the same area. It was odd to see his familiar car in the parking lot sporting Ontario plates. Kuden covered a lot of ground in the week he was here, visiting many friends in Durham, Chapel Hill, and Raleigh, visiting the state prison at Harnett where he helped support practice for many years, and also the state’s death row at Central Prison in Raleigh. 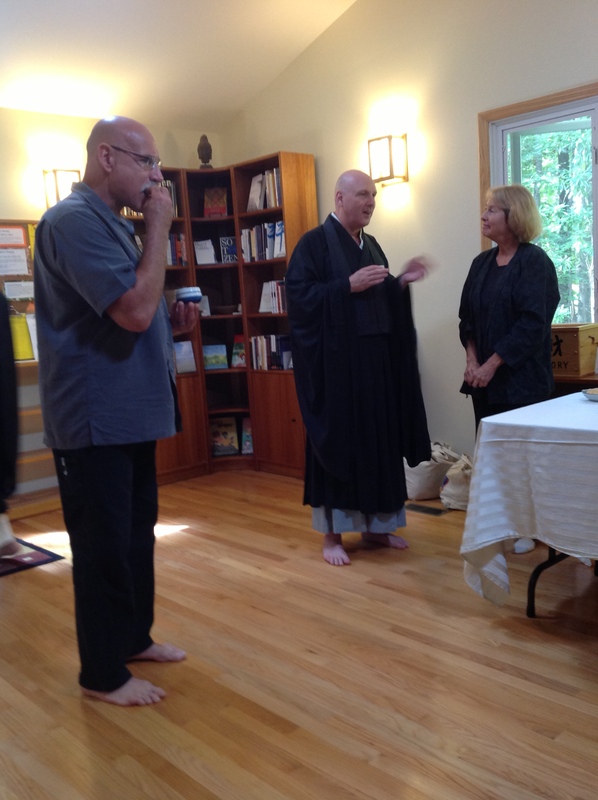 He sat zazen with us every morning and on Sunday, Oct. 6 was back in a familiar seat, giving a dharma talk on practicing with the Six Perfections (paramitas). 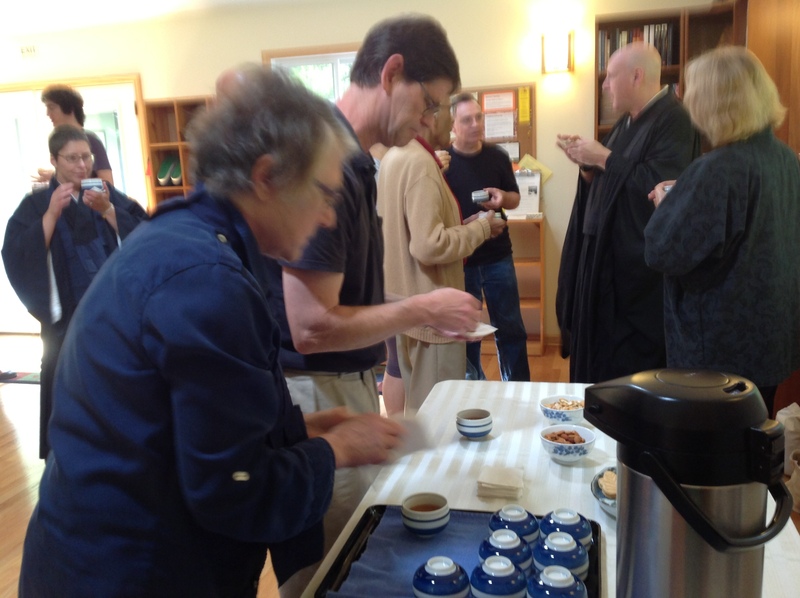 After the talk we had tea and cookies in the entryway and a chance to catch up. We hope to see him again soon…..
Can’t resist maple sandwich cookies!